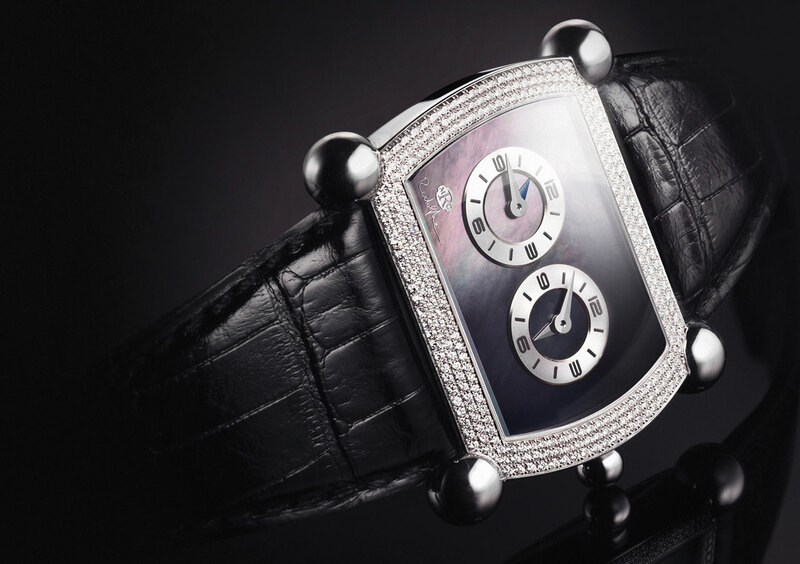 The latest collection from the Manufacture Rodolphe Cattin is the ultimate feminine watch. The refinement of its exquisite curves is matched by a glamorous bezel set with 129 diamonds. The shimmering black mother-of-pearl dial lends a touch of sobriety, while the two central discs provide a function that is essential to women of the world: two time zones. The cambered sapphire crystal, the polished facetted hands and the “ball” lugs confirm the signature of a true aesthete on this truly adorable model….